Quiz! Fairytale Evolution: Flipped – Which character are you? Sorry, this quiz is no longer running. Hey everyone! Many of you may remember the handmade book I gave away to celebrate the release of Jason and Lily. Well, I guess I just couldn’t get enough of the handmade book thing, because I’m doing it again! 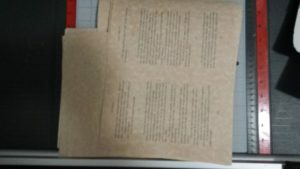 I’m making a hand bound edition of Flipped to give away to one lucky winner. This time, it gets even better…. A while back, I saw some gorgeous handmade journals from Latvian artist Aniko Kolesnikova. 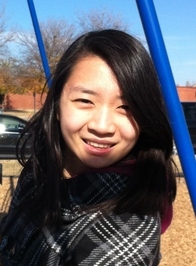 She makes decorative polymer clay panels and affixes them to writing journals. Well, when I was thinking of how to make this release special, and my thoughts turned to another handmade book, I ended up wondering if I could incorporate this same sort of decorative element. So I did some research, and turns out… it’s a perfect fit! As a matter of fact, rather than attaching a piece to the cover, my decorative piece is the cover. Like I said in the video, this is only the beginning of the process! I’ll be posting more videos soon to show you the journal as it comes together. The giveaway will be open to everyone, and it will also be up soon… so make sure you stay tuned for your chance to win this one-of-a-kind art book. Why, yes, it is the makings of another handmade book. This one is extra special, and it will be given away to celebrate the release of Fairytale Evolution: Flipped. I think it’s going to be amazing!!! I’ll be releasing more info about the book soon, including how you can win it! …I hit *submit* on the preorder of Flipped. That means that the book should be available for preorder on Amazon within the next 72 hours, though in my experience, it happens a lot faster. I will post links as soon as I see it go live. Remember, release day is November 3rd! Not too long, now! I’m running a small promotion on Evolution and Jason and Lily through this weekend only (Sept 9-11, 2016). These books will be 99 cents each on Amazon, so it’s a great time to pick up a copy if you haven’t read them yet. 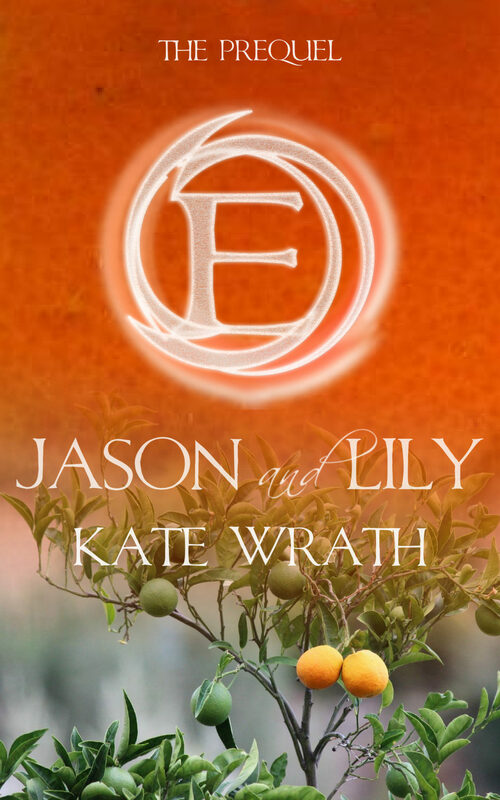 Also, Jason and Lily has a new cover that’s more in line with the rest of the series. Meanwhile, I’ve been working on the rollout of my new series, Fairytale Evolution. The first book is still going through the editing process, but we’re closing in now. So far, my editor assures me there are only minor changes to be made, which is a great thing as far as getting the book out to you sooner. I should be setting a release date soon. Also, I’ve started writing the spinoff to The E Series, but I’ll be honest and say that the writing is not going as quickly as I’d hoped. We’ve had a lot on our plates lately— health issues, back-to-school, etc— and it has been very difficult to carve out the writing time. I’m crossing my fingers for things to improve soon so that I can get things done a little faster. I’ll be posting some Fairytale Evolution teasers before long, along with the official cover reveal (for those of you who haven’t gotten a sneak peek through the newsletter, etc.). It’s here! I know it took way longer than it was supposed to, and I apologize wholeheartedly. On the plus side, the crisis with my dad gave me a chance to see just how amazing my fans are! I am so incredibly grateful for all the kindness and understanding you all sent my way. Awesomest. Fans. Ever. So… release day is Friday, August 12th. 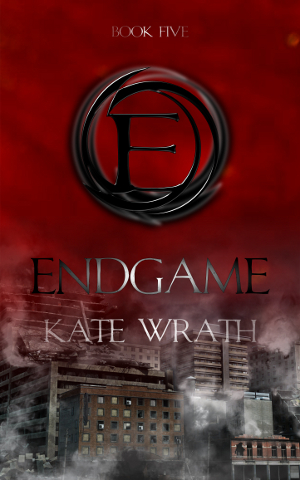 Endgame is on preorder right now on Amazon for $2.99. After it goes live, the price will raise to $3.99. I will be adding it to other retailers ASAP, so it will be available in different formats as well. BOOK FIVE IN THE E SERIES. Humanity’s future is at stake. Ready to take on the Sentries, Eden prepares for the ultimate battle. She’s willing to give up everything to finally put an end to the tyranny. As alliances shift and enemies rise, she’ll need to get everything exactly right to avoid a future that’s more horrific than the one she already has. And yep, that’s it for The E Series. This book wraps up everything. However… I will be starting work on a spinoff series (that I’ve mentioned in other blog posts) soon. So it’s not entirely the end. There will still be glimpses of your fav characters, so if, say, you have questions about what happens to them down the road… you might just find out. As everything looks right now, I’d say you can expect the first book (or two) in 2017. Meanwhile, I’m working on the release of the first two books in a fantasy series, and they should be ready fairly soon. My editor has them right now, so it kind of depends on how much red ink I get back. If you subscribe to my newsletter, you’ve got the first look at those books in your inbox. If not, stay tuned for a post about them in the near future. And, for fun, I’ll be posting some teasers leading up to the release! I’m excited! I hope Endgame answers all your questions and meets your expectations for the last book in the series! Hey everyone! 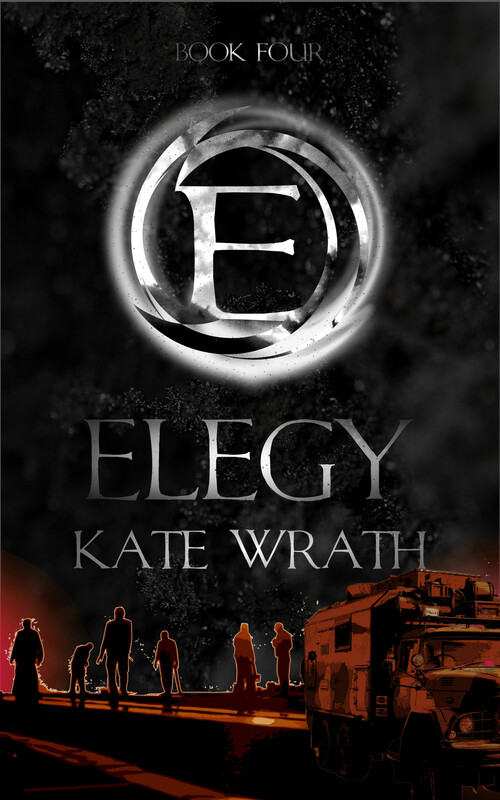 I know you’ve all been waiting for the release date for Elegy, and I’ve been putting it off. Well, the good news is, now that I’ve set it, it’s really not that far away! 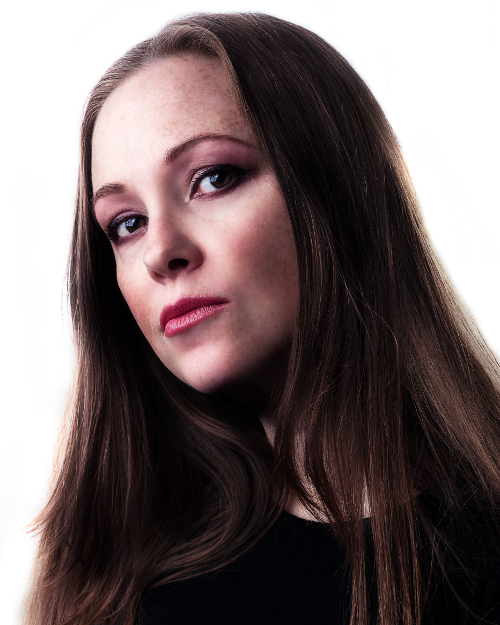 Elegy is coming to Kindle on Monday, November 23rd, 2015! Look for some teasers coming soon. In the meantime, I’ve been working like crazy. Thanks to a nudge from one of my fans (*waves at Karen*) I’ve finally gotten around to working on the print formatting for the last two books. In the process, I’ve made some changes to the back covers of E and Evolution in order to have a cohesive look for the whole series. The print editions of all the books (except Elegy, which I will get to shortly) should be available in the next few weeks. I’ve also started writing Book Five. As a matter of fact, I’ve been making quite a lot of progress. Unless this one gets incredibly long and I have to split it into two, it will be the final book in The E Series. The idea of finishing up the series is bittersweet. Quite a milestone and yet… sad. But I suppose all stories have an end. So what’s after that? I’ve been toying with a couple of ideas. One is a spin-off series set in the world of E, a few years after the end of the main series. I’m really leaning toward this one. There would be a whole new cast of characters, some big changes, and a very different story line. I’ve got a lot of ideas that I want to play with. Another possibility is a kind of prequel (I know I’ve technically already done that). This one would be more a history of the world of E, telling the story of how the world came to be the way it is. Some of those answers will come to surface by the end of the series, but I think that answers and stories are very different. Answers are based on information– mostly “how” and “what”. Stories focus on deeper meanings– more “why”. So I am definitely tempted to tell that story. …And then there are other things. Different things. I still have two books (and part of a third) in a fantasy series just sitting on the shelf, waiting for me to get to them. These books are incredibly different from The E Series, but I love them, none the less. I really want to get back to them, get them ready, and send them out into the universe. But again, we’re talking about a series, so I think that once I commit to publishing them I’m going to need to focus on seeing them through to the end, which will mean putting other projects on hold for a while. 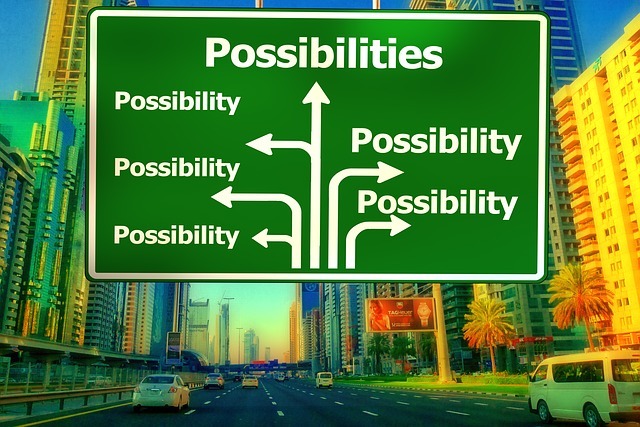 Just to throw in a few more options, I have at least three more stand-alone novels with series potential just banging around in my head, trying to get out. And that’s really only the tip of the iceberg, because I see stories everywhere, in everything. There is no way I’ll ever write it all before I die. Someone really needs to develop some sort of direct brain interface, or something! So, yeah! Lots of choices coming up, and I’m really not sure which path I’ll choose. But I’m definitely going to keep writing, because that’s my thing. 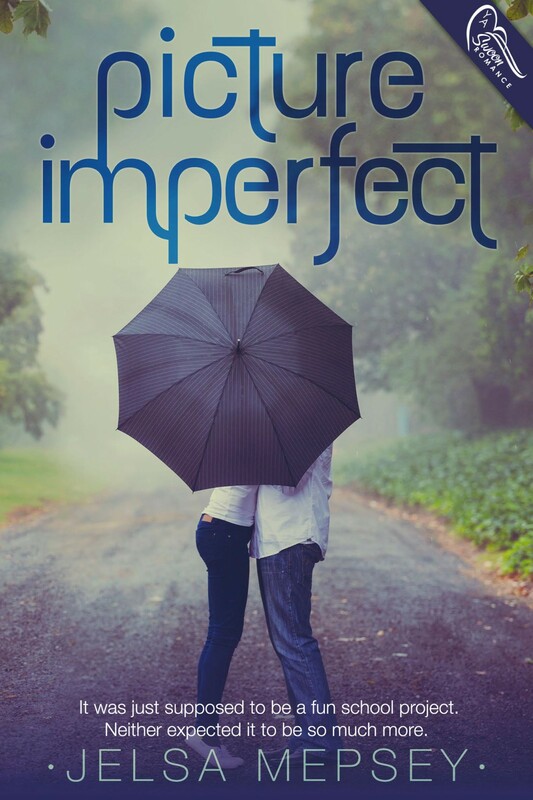 Here’s a guest post from author Jelsa Mepsey, who is releasing Picture Imperfect.